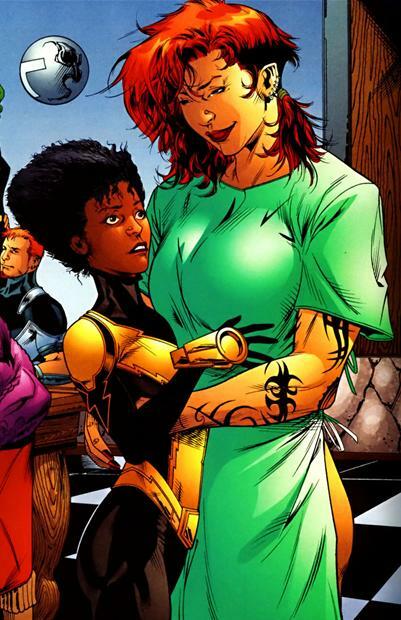 Grace Choi and Anissa Pierce are a couple for black superhero history books! Anissa is the daughter of one of the earliest black superheroes in comics Black Lightning. She joined the superhero team “The outsiders” who at the time operated under Nightwing as opposed to batman. Sparks flew immediately for these two, Grace an Asian red head with purple eyes is of Amazon descent with a gruff exterior and a body littered with Tattoos never seemed much like Thunder’s type….but then again we had no idea she was gay 🙂 Grace would always tease the college girl and most thought it was because they were so different. Ms Choi also had another obstacle to jump before Thunder would give her the time of day. She was always sleeping with the men on her team and men in general. 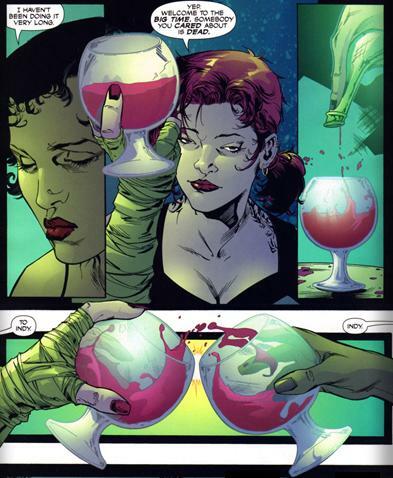 Grace was a very promiscuous girl, that may actually be an understatement considering only Oliver Queen/Green Lantern may have slept with more people. Despite the seeming stability of being with Thunder and caring for her deeply Grace has been known to still shag the occasional man. Ain’t love grand! Below you can watch as their story unfolds in this tribute to their relationship.